Finally had a chance to try the El Triunfador Lancero SODO blend last night. 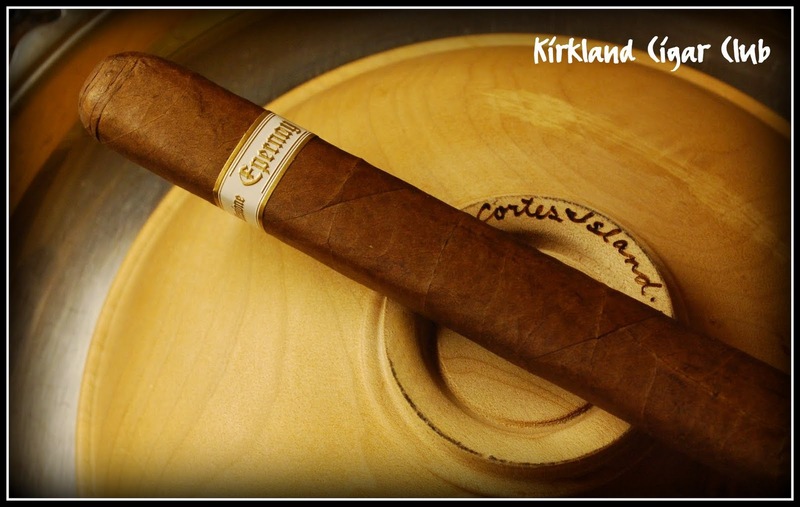 The burn on this cigar is even with a smooth draw, and very creamy. The ash is even with light gray and white finish. The initial flavors in your palate are mild with an increasing change from a very light sweetness, cocoa, and coffee. 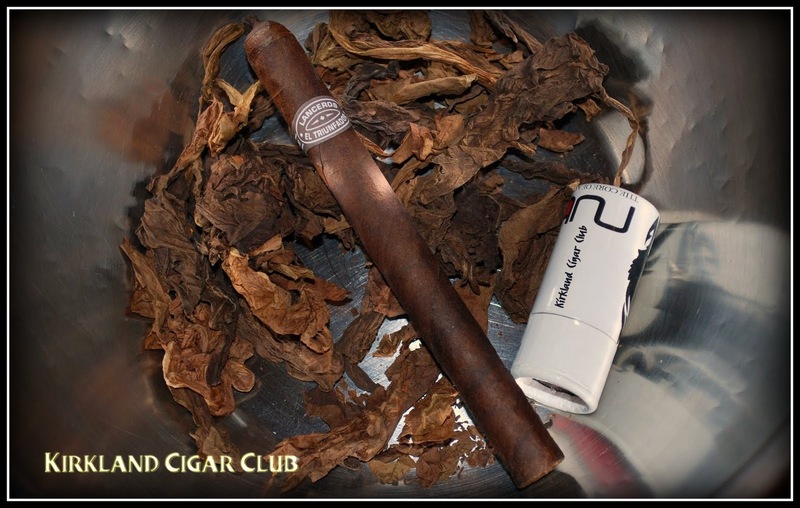 Half way through the cigar, a pleasant peppery spice kicked in, followed by an earthy tobacco flavor. From the beginning to the end this cigar smoked like no other El Triunfador Lancero I had tried before. This is a medium-strong cigar to my palate. It was a pleasant, and a rewarding smoke. Second to none in its class. I couldn't have described it any better - nice job Herman! This was a very good cigar, maybe a tad on the peppery side for my taste, but I did enjoyed it. What caught my attention was the very delicate sweetness to it, just a hint layered on top of the peppery spice - a very nice touch indeed! 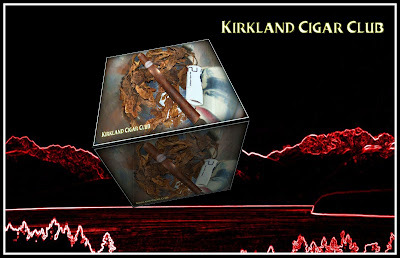 You'll find that even though this is a pretty firmly wrapped Lancero size cigar, it has a great draw. The only thing you won't like is that it's over in about 30-35 minutes. Oh well... have two! Friday night at the Patch, not a bad turn out, mainly because it wasn't raining or freezing cold. This would turn out to be the calm before the storm though, the "Pineapple Express" moved in on Saturday and Sunday - temperatures in the upper 50's, but a relentless rain that made life outdoors absolutely miserable. Anyway, so Friday night I brought an Oliva Serie G with me from home down to the Patch, as you probably already know these are my "go-to" cigars - I like to keep a bunch of these on hand. I'm not going to say that they're "weenie cigars", but they're mild enough to smoke anytime of day. The Cameroon wrapper gives it a sweet, smooth taste, just delicious in my opinion. So while I was at the Patch on Friday, I had a nice chat with the author of "Paint.net", he swings by every now and then. I love talking to this guy because he's so damn smart, plus I use his photo editing program religiously. If you're ever looking for a quick and simple alternative to GIMP or Photoshop, give Paint.net a try - it's a pretty cool program. Saturday night, warm, but pouring down rain, we headed up to the Casino. After playing the slots for a while and doubling our money (nice! ), we headed over to the Lit Lounge for a cigar. I was going to buy something that I hadn't tried before, but those damn Cuban Stock box press cigar were calling me, I had to have it. GREAT cigars, much more complex than the Oliva's, plus these are smoke bombs - volumes and volumes of rich smooth clouds of smoke. I loved it! 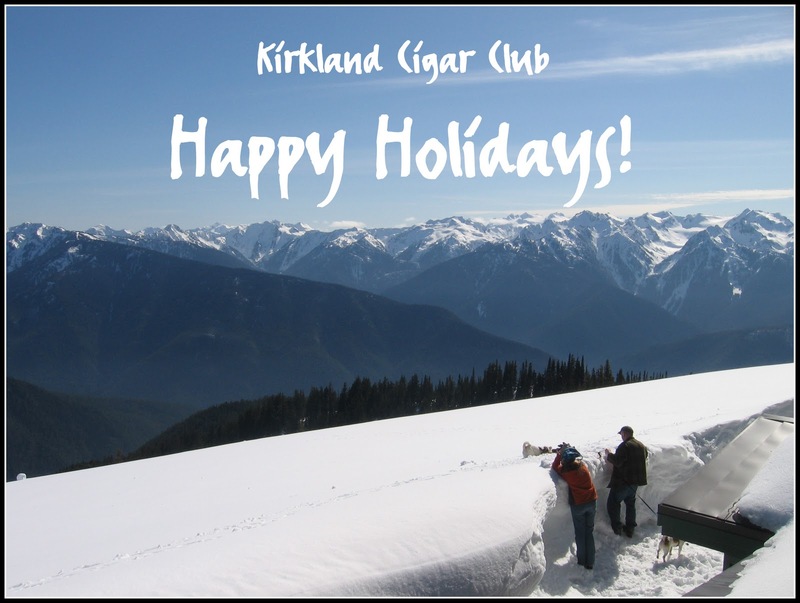 Quite a few Kirkland boys up there - Always a good time at the Lit! OK, now onto Sunday, the day that I was looking forward to trying out this El Triunfador Lancero SODO blend, I'd held off from smoking it all week long just because I told myself that I would smoke it on Sunday while watching the Seahawk game. Guess what happen? I never smoked it. UGH! I caught the cold-from-hell on Sunday and there was no way that I was going to smoke anything. Felt like crap, maybe not as crappy as the Seahawks are feeling, but definitely too sick to even think about it. Both these guys know their cigars and I value highly their judgement. Check it out if you have a chance! Congrats to our guest writer Chris - he was just married on Saturday! We're wishing you and your bride all the best my friend! So Saturday night while I was down at the Patch I had my opportunity to try it out. BTW, my lovely and very intelligent wife didn't join me - she said it was "too cold". An understatement, I might add. Interesting little fact, years ago we used to have an outdoor patio heater that we used to keep us warm specifically on nights like this. Wonder whatever happened to it? So what did I think? I liked it. Medium to full-bodied flavor, smooth, not necessarily a rich smooth taste, but overall it was very enjoyable. I might add that it had a terrific finish - my favorite part was the last 20 minutes. Delicious! What didn't I like about it? It may have been the cold, but I had to re-lite this sucker about 10 times. Might have been due to the amount of moisture in the air along with that killer cold breeze. Sunday was a total change, partly sunny and temp up near 50 or so. That night we lit up the fireplace out on our back deck and fired up the patio heater.. It was so nice compared to the night before. I brought out a couple of Oliva cigars and my favorite rum (Zacapa) and we kicked back and took it easy. I actually had a pretty busy weekend, so this was a well deserved break for my sweetie and I. 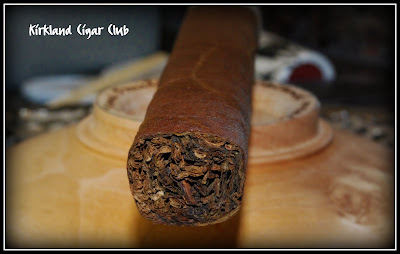 A note for next week's review - I plan on reviewing the El Triunfador Lancero (SODO Blend). This was the other cigar that I picked up at JnJ's . Can't wait to try it out! Have you seen the new restaurant that's going in next to Hector's in downtown Kirkland? Name on the sign says "Milagro Cantina". I took a peak in the window yesterday - WOW! Pretty impressive. Looks like it might open this week. I'll keep you posted. I'm sure we'll go there for drinks or dinner pretty quick.